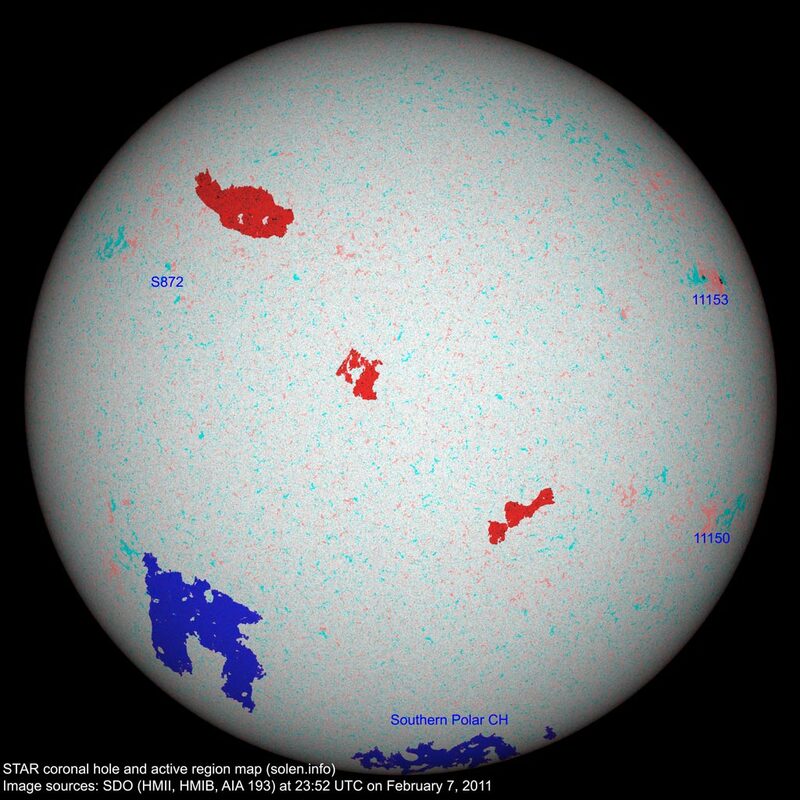 Last major update issued on February 8, 2011 at 05:25 UTC. The geomagnetic field was quiet on February 7. Solar wind speed ranged between 402 and 549 km/s. 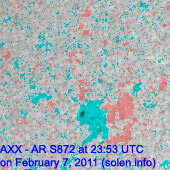 Solar flux measured at 20h UTC on 2.8 GHz was 82.3 (decreasing 0.3 over the last solar rotation). The planetary A index was 3 (STAR Ap - based on the mean of three hour interval ap indices: 3.3). Three hour interval K indices: 10011111 (planetary), 20022121 (Boulder). 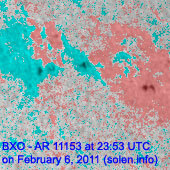 Region 11150 reemerged with a single small spot. Region 11153 developed slowly and gained penumbra on the leader spots. 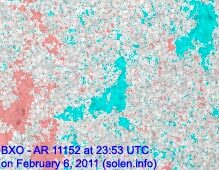 Early on February 8 no less than 3 new regions are visible with several spots, one was located at N07W37, another at S20E56 and the last at N20E50 (approximate locations at midnight). 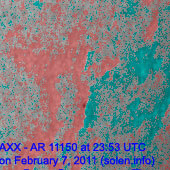 Region 11150 has become spotless while region 11153 has developed quickly (now classified as DAI) and may soon be capable of producing C flares. 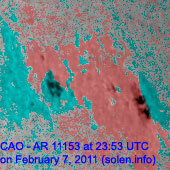 February 5-7: No obviously Earth directed CMEs were observed in LASCO or STEREO images. Long distance low and medium frequency (below 2 MHz) propagation along paths north of due west over high and upper middle latitudes is poor and slowly improving. Propagation on long distance northeast-southwest paths is poor. 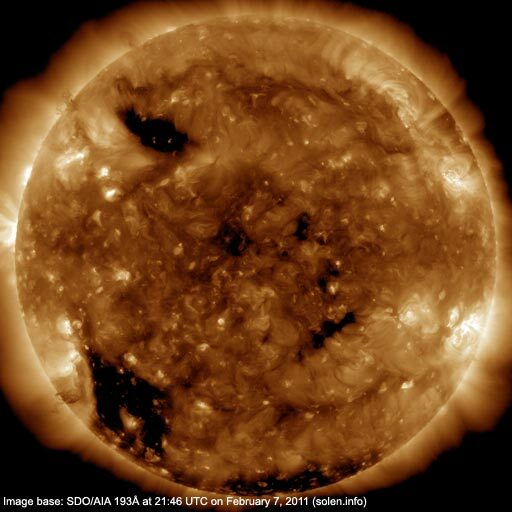 The geomagnetic field is expected to be quiet on February 8-10 with a chance of occasional unsettled intervals due to weak coronal hole effects.